Our Patient Relations Process offers patients/residents, their families and the public with a mechanism to confidentially voice concerns and compliments about their experience of care they received, and to provide feedback that can help the Hospital track the quality of patient/resident experiences and identify opportunities for quality improvement. To share your compliments and/or concerns, please contact our Patient Relations Officer at admin@ndmh.ca or by calling (807) 887-3026 ext 1223. The QIP is an organization-owned plan that establishes a platform for quality improvement that can be used to harmonize efforts to improve quality of care across the health care system. While most health care sectors are familiar with developing QIPs as a way to express quality goals and targets for their organizations, the sectors are at different starting points when it comes to developing QIPs. The expectation is for health care organizations to have their QIPs in place, publicly posted, and submitted to HQO by April 1 every year. 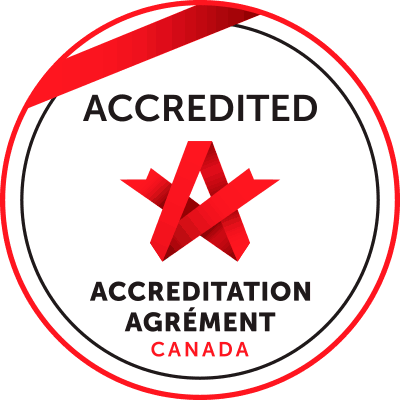 The Excellent Care for All Act (ECFAA), which came into law in June of 2010, puts Ontario’s patients first by strengthening the health care sector's organizational focus and accountability to deliver high quality patient care. Quality Improvement Plans (QIPs) are a key enabler to support this goal. Nipigon District Memorial Hospital engages Resident and Family Council members, the Quality Committee and the Physician group in development of our quality improvement plan. As a Patient/Resident centred care organization we will be transparent in our quarterly progress reports. The updates are shared with the Patient/Resident care Committee, the Medical Advisory Committee, Quality Committee and the Board of Directors. This year we will renew our strategic plan. The changes in the Healthcare system will provide a new framework for our facility to consider and align with. Exciting times are ahead as we navigate through unchartered waters on our journey to provide quality rural healthcare. 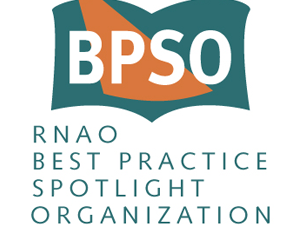 In April 2017, Nipigon Hospital was successful in receiving a 3 year Best Practice Spotlight Organization (BPSO) pre-designate with the Registered Nurses Association of Ontario (RNAO) in order to implement and evaluate the RNAO's best practice guidelines into the care we provide for our patients and residents. Our partnership focuses on making a positive impact on patient/resident care though evidence-based practice and demonstrates our commitment to our Strategic Plan's Mission "Excellence in rural health care", and Philosophy that "patients, residents and their families are at the centre of everything we do." At Nipigon Hospital, we are committed to providing health care goods and services guided by the principles of independence, dignity, integration and equal opportunity. We are dedicated to providing the best health care experience to our disabled clients by offering the same opportunities to access and benefit from our goods and services in the same place and in a similar way as other persons.